Latest on the Kings and Islanders in your NHL rumor mill. ARE MORE CHANGES IN STORE FOR THE KINGS? THE HOCKEY NEWS: In the wake of the Los Angeles Kings replacing head coach John Stevens with interim bench boss Willie Desjardins, Jared Clinton speculated more changes could be in store if they fail to right the ship. He points out several players are struggling this season, including captain Anze Kopitar, defenseman Dion Phaneuf, winger Tanner Pearson, and forward Adrian Kempe. General manager Rob Blake said they’ll be evaluating the players as much as the staff. If things don’t improve, Clinton thinks the Kings could shake up the roster by midseason or at the trade deadline. SPECTOR’S NOTE: A coaching change is sometimes done by a general manager lacking suitable trade options to improve the roster. That’s where the Kings find themselves now. Defensemen Alec Martinez and Jake Muzzin recently surfaced in the rumor mill but it’s doubtful Blake is getting any offers from rival general managers that will provide immediate help. If the Kings don’t improve, Blake could go into sell mode. With several aging veterans (Kopitar, Phaneuf, Ilya Kovalchuk, Dustin Brown, Jeff Carter, Jonathan Quick) carrying expensive contracts and many with no-trade clauses, trading any of them for decent returns will be difficult. Martinez, Muzzin, Pearson or Tyler Toffoli could prove easier to move. CAN THE ISLANDERS RE-SIGN LEE? 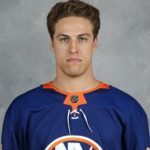 NEW YORK POST: Larry Brooks recently praised New York Islanders captain Anders Lee for the fine job he’s done thus far filling the leadership void from John Tavares signing with Toronto this summer. Lee’s also developed into one of the league’s most productive scorers, making him expensive to re-sign. Brooks noted Lee, who’s slated to become an unrestricted free agent next summer, carries a $3.75-million annual average value while earning an actual salary of $5 million this season. He believes the 28-year-old winger will be in line for a substantial raise, adding it remains uncertainty if the Islanders will pony up to keep him. “Maybe that becomes an issue approaching the trade deadline,” writes Brooks. SPECTOR’S NOTE: Following a slight dip in production during his 2015-16 sophomore season, Lee’s numbers have steadily improved. He tallied 34 goals and 52 points in 2016-17 and 40 goals and 62 points in 2017-18. This season, he’s on pace for an 82-point campaign and sits second among Islanders scorers. Even if Lee isn’t re-signed by the trade deadline, I doubt the Islanders shop him, especially if they’re in the thick of the playoff chase. I think they’ll do all they can to keep Lee in the fold. Cap Friendly indicates they have $47.7 million invested in 15 players, giving them more than enough to re-sign Lee and their other notable free agents. Yes, they failed to re-sign Tavares but that doesn’t mean they’ll face the same fate with Lee. Lee at $3.75M Cap and $5.0M actual salary is well below his worth. He will be in for a substantial raise. Great leader and player… Lou should try his best to re-sign him. I’m sure Blake did not see this massive drop off coming but had to expect that things would be tapering off sooner than later. LA is on the cusp of spiraling out of control. This just may be the start (US thanksgiving is coming up) of “sell sell sell”. Tongue and cheek of course — but if things do not right very soon I would not be surprised with 2 key LA players moved in/around US thanksgiving. OBD, That saying has profound meaning in today’s and and your father’s time. I believe desperate times are only a poor decision or two away…. You must have been quite a player yourself back then? Park was a favorite of mine as a youngster. Martinez Muzzin Pearson and Toffoli is all L.A. has to offer. Maybe Kempe who I really liked last year. There you go again SilverSeven, quit being so dramatic already. LA has lots to offer besides Martinez, Muzzin, Pearson and Toffoli. If you’d actually try watching a Kings game then you’d know that Carter is what makes the second line work. when Carter is out or moved off that line, Pearson and Toffoli are USELESS. Any GM that wants to win would be a complete moron to pass up Carter for the other two. Age and salary are major considerations Kopitar is better than all of them put together but is he really an offer that someone would take ? Don’t think so . Coaching is not the reason for the Kings situation. It is not far fetched to me that Drew to the Leafs could make sense for both sides. It would just mean Kadri would have to be moved this summer and replaced for cap issues. Nylander with extension in hand, plus which D and which picks. I see Doughty to Toronto as a pipe dream. I don’t see him being traded to Toronto even IF the kings wanted to, how is Toronto investing 42 million in 4 players – and I am taking a conservative estimate of 20M for Marner and Matthews. Marleau, Kadri, Andersen, Reilly etc are all on the payroll. You can’t trade the entire roster to bring in one guy. The still have to sign Kapanen. Trading for Doughty makes no sense from a cap perspective and that is provided The kings even consider any sort of offer. @Taz. I do not think its a complete pipe dream but somehow would need to eat 3million somewhere even if Leafs lose Kadris cap hit when AM and MM are resigned. But LA would not keep Drew salary- Devils and Isles could afford him but cannot see him agreeing to go to either. So the Kings must likely keep Drew+Kopitar and stuck with Brown. The other chips are all aging or underperforming. You leaf fans are over the top. Every time a top player is talked about you idiots start The talk about how the leafs should go after him and it becomes all consuming. Don’t you guys know this league has a salary cap. Look what Tavares has done for your cap. By the time you sign Mathews and Marner there will be no money left to field a competitive team. You will probably end up losing Nylander, then you have Gardiner to sign. Look what happened to the Blackhawks, paid big money for 2 players and have put them in cap jail plus they cannot afford a supporting cast to be competitive. A revealing column by Travis Yost at TSN today, in which he demonstrates with historical numbers how the Kings have been a low-octane offence season after season. They need to add offence to have any hope of getting back into playoff contention. Given the ages, and/or health issues of their core players, it may be time to start a total re-build. Good luck to Willie Desjardins. My logic is that a rebuild should be an all in thing…you need to make bold and make multi player deals as it is not easy to rebuild…. Am a long time Leaf fan….the Leafs let themselves get old …too often…nursing 8 th to 11 th place finishes …trading draft choices at the deadline and just making or not the playoffs…not getting quality young guys..not restocking the farm…. LA & Anaheim & maybe Saint Louis seem to be doing this now..it is a big decision problem….not a firing the coach or players meeting problem…I think it becomes a structural issue and that is hard to deal with…. I’m sorry we don’t see eye to eye Old Blue, but there is NO WAY Doughty is traded for Nylander (hold out), Dermott (laughable) and a first for the best all round d-man in the world. Let alone LA having to eat some salary on top of that garbage return. I call on the other Leaf fans on this site to honestly gauge that trade without the rose coloured glasses on. I agree since I wouldnt make that trade. What the leafs need is an up and rising D with an affordable contract (2022) in the 4 m range like the canes have. But if im the canes Im not paying 8m to WN, 7-7,5 is my offer. And if I make the trade its a one for one deal since the Leafs get a player on a long contract and that in itself is a commodity. Old Blue… Actually if the Kings were to rebuild, something I’m not opposed to btw, I would trade everyone I could, especially Doughty. Not that I don’t like them, Doughty is my favorite player but would also bring the best return, thus kick-starting the rebuild. I would maybe keep Kopitar, given the size of his contract you might not get a fair return, plus it would be nice to have a vet of that quality to bring in the next generation. I don’t want to argue too much with you on this as I respect a good Londoner anyday, once upon a time I was in Guelph and used to go to London quite often. You are correct though, Doughty wasn’t a Leaf fan growing up, in fact he was a huge Kings fan. Loved the great one I believe. no one should be surprised by the kings fall from grace.the move to bring kovalchuk back to the nhl was the telltale sign.a shell of the former cup winning team. veterans past their prime, and young players who have yet to make an impact. They simply have not had enough picks in the last few years. With all that being said, I’ll easily trade shoes with a Kings fan, multiple cup wins and then a rebuild? Sign me up! I must admit, I dismissed the idea of trades too quickly, didn’t even consider the hold of salary wrinkle. I still don’t see DD being the guy they hold salary on. I don’t quite know what to think of Anaheim yet, they have some high energy young guys like Comtois, Sherwood and Kase plus a potential superstar in Rakell. They are good enough to compete IMO but yes, they have to make long term decisions with most of their vets heading towards or already in decline. You’re not getting Manson on his team friendly contract plus Ritchie for Nylander. Top 4D on great contracts are hard to find and, if traded, won’t be with a good young player for awinger who wants to be highly paid. Ritchie would be lucky to play 4th line minutes on the Leafs and is not needed in the trade. Manson and Nylander could be centerpieces to a trade. Young scoring wingers aren’t available all the time, agree or not Nylander is still cost controlled. He can drag this out as long as he wants but he has no leverage, he’s can sit out the year and come back an RFA and be in the exact same position for years. hypothetically, Would the ducks trade Manson for Aho? Taz: Ritchie having limited value to Toronto doesn’t mean he has limited value overall. It isn’t like Toronto’s 3rd and 4th lines have been great this year either. I just don’t see that trade making any sense for Anaheim given both Manson and Ritchie are on team friendly contracts. Until we know what Nylander’s contract value is, it is difficult to pinpoint his exact value. If he had a 3-year deal at $5M/year (similar to Kucherov’s last contract), he would be very valuable in any trade. $8M/year for 8 years significantly decreases the market. That is what makes this complicated and if I’m a team with team friendly contracts like Manson, I’d be very hesitant to trade them. Taz or anyone who wants to add ..
Is dubas willing to let Willie sit this year , in your opinion ? In my opinion, not a chance . Willie had to prove he was willing to sit or play outside the nhl to gain leverage . If he hasn’t done that yet , I’m not sure how close to dec 1 he would need to go ..
Or trade him to a team who will . How isn’t that leverage ? If you believe dubas is willing to let Willie sit , I would agree on the leverage in that case . Craig, I don’t think he has decided yet. He likely hasn’t seen the lowest that WN will accept, and he hasn’t received the best trade offer he will see. If it was me there is no way I sign him to $8M/year and I also don’t trade him for less than he is worth. Simple decision really. If the deal comes that is fair value than you move him. If it doesn’t he sits. Those are the cards Dubas was dealt, all he can do is play them the smartest way he can. He also knows that Nylander has a pair of 7’s and he is holding a full house. I would agree the answer is not signing him to 8 million , nor do I think that’s what it would take, I think it ends with a 7 whether that be with the leafs or another team . I disagree that he hasn’t decided , and it’s not an easy decision . He can come back next year and negotiate after m and m and another cap rise , in a very hostile situation after a year out and leave this years team without an elite talent for cup run . I can’t see how this helps anything .. is dubas really willing to go down that road ? How does it help the leafs at present or in the future ? Doesn’t help trade value , doesn’t help the player . He may not know which way he is going to go yet , sign or trade , still a few weeks but I think he knows sitting out the year is not an option . Agree that it isn’t what Dubas wanted but he can’t control what Nylander will do. He has a cap budget and needs to fit all the key pieces into it with enough left to support the core. There are plenty of comparable players to use for a fair deal, if WN isn’t being reasonable, then he can’t overpay. So he can trade him, and fellow GM’s will be tossing him anvils in hopes of winning the trade and improving their team. He can accept a bad deal, overpay, or wait out Nylander. I would choose door #3. How does Nylander.s earning potential look if he sits and passes on $5 to $6.5 for a year. Will he ever get that back? Nope. If Nylander doesn’t accept a bridge until he gets arbitration rights, he is a fool. I don’t think he is and will sign. IMO a fair 6 year deal for Nylander is 6.25 – $6.5 using Pastrnak as the comparable. Cap is up 5.5%, production in the year leading up to the deal is is 12 % less, plus fewer goals. Quick math in my head so maybe off a little. Stats don’t tell the whole story but very similar players with Pastrnak producing at a higher rate and the cap increase doesn’t justify WN getting more or even the same. If he doesn’t accept it he isn’t accepting reality. If the Leafs are offering way less than yes it is on Dubas. This shouldn’t be that hard? I think if a deal were to be found long around 6.5 , it would long be done . It’s not on nylander or the youth to take discounts after management decided to spend 11 million knowing they had big contracts looming . Shanny said himself that’s what he expects , I don’t blame Willie for not wanting to accept less if that’s the case , we don’t know what exactly he wants or what dubas is offering yet . Auston and Mitch didn’t hurry to the table to sign for discounts . He can go make 5 million in the khl and return next year with the same option . I highly doubt it gets to that stage, if dubas can’t get him signed , he will be moved . Imo only two options . Please stop using Pastnrak as a comparable for WN since he is underpaid, his true value is in the 9-9,5m range. Im surprised that people didnt see this coming, because it was writing on the wall with the JT signing, no way that they can ever fit them all under the cap. Also, big mistake not signing MM to an extension this summer, it will cost them 1-2m per year in cap space.